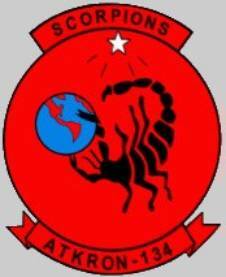 Aug 1961: The squadron was established as part of a new Air Group to increase the strength of the fleet as a result of the Berlin Crisis of 1961. 8-19 Feb 1962: The squadron was aboard USS Constellation (CVA-64) for carrier trials and in a standby status for possible assistance during Project Mercury, the launching of Lieutenant Colonel John H. Glenn, USMC, in Mercury spacecraft Friendship 7. Mar-May 1962: The squadron participated in Constellation’s shakedown cruise in the Caribbean.